After a case has gone to trial, a decision is made by the judge or jury based on the evidence presented in the case. You may know that the decision by the court can be appealed. This is true, but most people don't really understand what happens at appellate court and what role your lawyer plays there. Unlike trial courts, appellate court is not focused on the facts of the case. No evidence is presented, and no witnesses are present to argue the merits of the case. 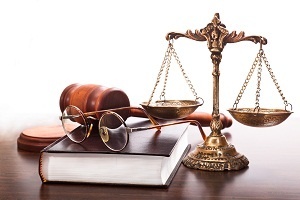 Instead, the role of appellate court is to ensure that the law was applied correctly at trial. This means that your lawyer will argue legal issues and policies before the judge or panel of judges. When a case is appealed, the lawyer will write a brief, explaining why the ruling at trial should be reversed. In that case, the argument will be that the judge didn’t apply the law correctly. Normally, no new evidence is presented during an appeal. The opposing party will counter the argument and explain that the trial court’s decision was correct. Possible outcomes of an appeal are a reversal of the ruling, a new trial, or a change to the trial court’s decision. While you have the right to appeal the judge’s decision in your divorce case, you shouldn’t expect that decision to get overruled on appeal. In your divorce case, decisions are based on the family situation, and it would be difficult to argue that the law hasn’t been applied correctly. In fact, appeals for divorce cases are rarely successful. This is definitely a reason to hire an experienced Stephenville divorce lawyer to represent you in the first place. And instead of waiting for the judge to make a decision about your future, it would be even better to work out a settlement with your ex. Otherwise, chances are that neither of your will like the arrangements dictated by the court.